This 52 ft diameter, 8 ft deep water storage tank, located 60 miles outside of Boise, is known as the Ant Hill water tank. 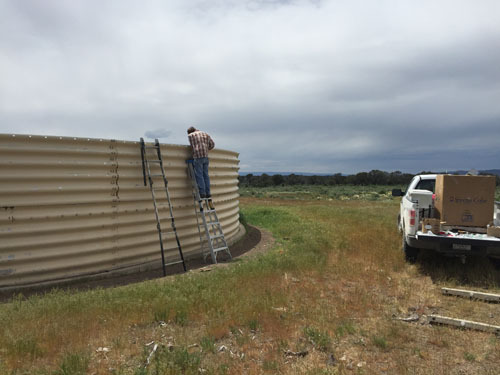 The Bruneau field office of the BLM determined that due to the large large size, positioning three deep tank escape ramp systems would provide birds, bats and critters a safe means of escape if trapped in the tank. Theses ramps will intercept stranded animals swimming in either direction and give them an easy way out of the tank.